dining table or work desk. 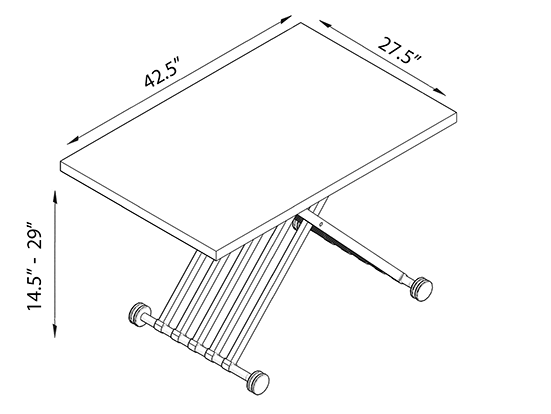 Forget clunky and unreliable lift-top tables! collapse slamming on your fingers. 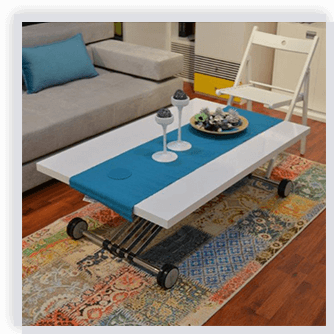 Table frame is made of hardened stainless steel for maximum durability. High grade laminated particle board is used for adjustable table top and provides resilient and easy to clean surface, suitable for everyday use. 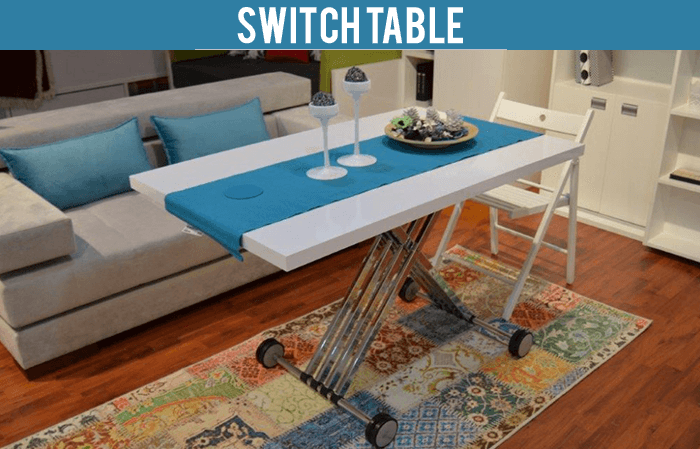 Durable, non-toxic plastic and rubber wheel base allows switch table to be safely moved around without damaging your floors. 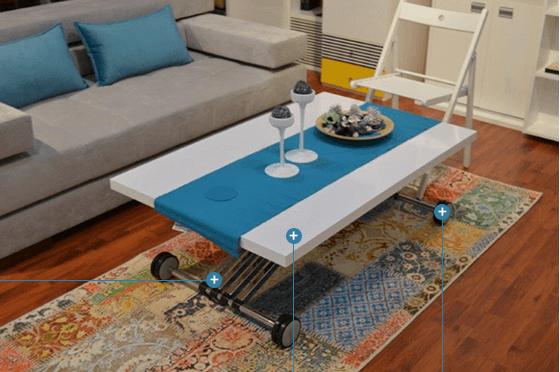 Enjoy this space saving table during movie nights and dinner parties in any part of your home. to be used right out of the box. saving solution for every home. Design and construction exceed strict European standards for safety, health and ergonomics.